The government’s recent Housing White Paper falls far short of what is needed to tackle the deepening housing crisis, which we see manifestations of every day in my constituency of Hackney North and Stoke Newington. In particular, the White Paper didn’t lift the borrowing cap so councils like Hackney can directly fund and build homes for their communities, nor is there any new money for the existing fund to help councils and housing associations build homes for social rent or shared ownership. The government’s own figures show that affordable housebuilding has fallen to the lowest level in 24 years, with the number of homes being built for social rent now at the lowest level since records began. Furthermore, while the government has claimed to become the friend of private tenants, in this area not only have the Tories failed to take the action needed, ministers even voted down Labour’s efforts to ensure that private rented homes were simply fit for human habitation. For those on the London Living Wage, the only type of housing that is affordable is housing association or council rented property but both are under attack from right-to-buy and forced sale schemes. In terms of those wishing to own their home, the average house price to earnings ratio for first-time buyers in London was 3.7 in 1983. By 2016, this had become 10.4. 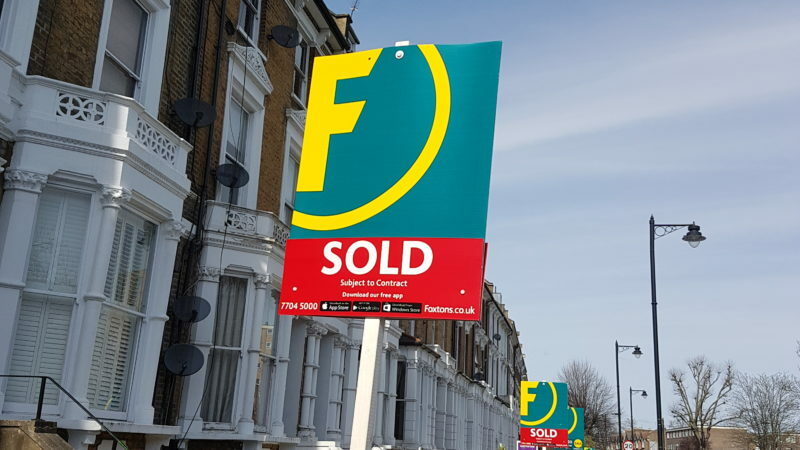 A report by the National Housing Federation has shown that to purchase the average London property by 2021, you need to start saving £2,300 per month now. That’s more than the entire take home pay of someone on the capital’s median salary of £30,000. Furthermore, due to growing economic insecurity those paying rent and mortgages can expect even tougher times. A study last year for Shelter found 48 per cent of families named the cost of housing as the biggest drain on their budget, and that one in three families in England could not pay their rent or mortgage for more than a month if they lost their job. Alongside this, we have seen an epidemic of homelessness. Since 2010 homelessness has risen dramatically with almost 60,000 households becoming homeless last year. The Hackney Gazette has ran a series of articles on the hidden homeless, reporting there are more than 2,700 families without a permanent home in Hackney. Nationally, Shelter estimates that more than a quarter of a million people have no permanent home. In 2016, 4,000 people slept rough on any given night across England. This is more than double in 2010. Whilst it is welcome that the government recently announced the funding of the costs of the Homelessness Reduction Bill, Labour is clear that it must be fully funded. Additionally the sum of £35 million offered for the next financial year, when divided between councils, is likely to be less than the estimates made by authorities themselves. Particularly worrying is that the funding falls to zero within two years. There is no evidence provided by the government that savings will offset costs by this time. Indeed, the Local Government Association has requested a full review of costs after two years. In terms of the homelessness epidemic and the broader housing crisis, the government must also bring forward further plans to building more genuinely affordable homes, and dedicate at least 4,000 of these to avert rough sleeping. The biggest cause of homelessness is the ending of short hold tenancy. Yet, the government has quietly decided to go ahead with plans to cut housing benefits for 18- to 21-year-olds, which are due to take effect on all claims submitted after 1 April this year. From this date, anyone aged 18-21 who is unemployed (or been working for fewer than six months) who applies for Universal Credit will no longer be eligible for any help with rent, and will be forced to live with their parents, find a way to pay rent, or become homeless. In terms of tackling all these aspects of the housing crisis, while the Mayor of London is showing the way by insisting on high levels of shared ownership and genuinely affordable social rented homes in new developments, to get the volume and type of housing that Londoners can afford requires major initiative by central government. The government needs to give councils the freedom to build homes rather than just try to put them under pressure to do so. This is particularly important as local authorities have only two sources of funding to finance new homes. One is funding from the sale of Right to Buy council properties, which must be spent within three years or repaid to government with interest. The second is borrowing through their housing revenue accounts, which is capped at £160million. Hackney’s Mayor Philip Glanville has described this figure as ‘arbitrary’, explaining that even if you know ‘that [they ] will pay back [the borrowed money] in three years’ time when homes are sold.. if that pushes you over the £160million you can’t borrow the money’. We also need better provision of facilities for homeless people and a concerted drive against sub-standard conditions in private sector hostels. There is a vision to deliver this. Jeremy Corbyn’s pledge for the construction of at least a million homes — over half of which will be council housing — would not only see the building of genuinely affordable homes, both to rent and buy, but also give a much needed boost to the economy. This isn’t utopian thinking — it’s the only real solution to the deepening housing crisis. 1. Massive inward immigration of people fleeing the Eurozone and elsewhere. 2. A lack of wealth caused by the state spending people’s surpluses rather than making them invest. There are small effects due to demographics. Then you have the failure of northern regions to work. The failure of Northern regions to work? Your comment was written while on crack?